The Fukushu Kumquat (Fortunella obovata) produces oval fruits that are 1 1/2" long. The fruit has a thin edible rind and produces few seeds. It has a tart, sweet, slightly acidic taste. When planted outdoors, the Fukushu will reach heights of 6-10 feet. 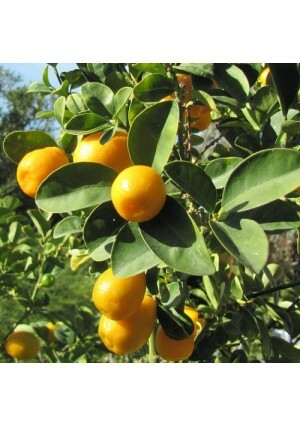 The Fukushu Kumquat is cold hardy in USDA Growing Zones 9-11. It can be kept as a container-grown plant in all other growing zones if it is brought indoors for the winter.